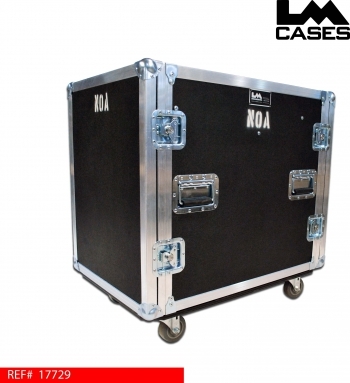 This case was built for Nintendo Of America. 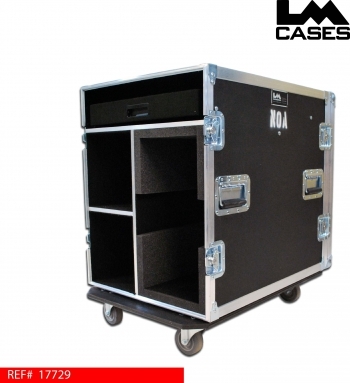 The case is designed to hold a Mac Pro tower and peripherals. There is a pull out shelf mounted on HD Accuride glides for a keyboard/laptop as well as two divided compartments for additional storage. 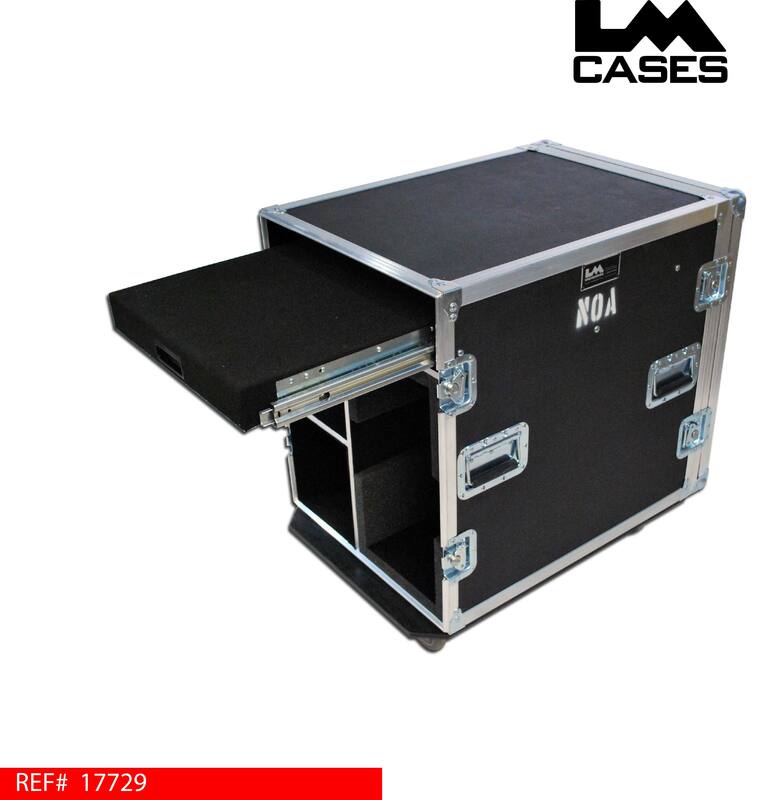 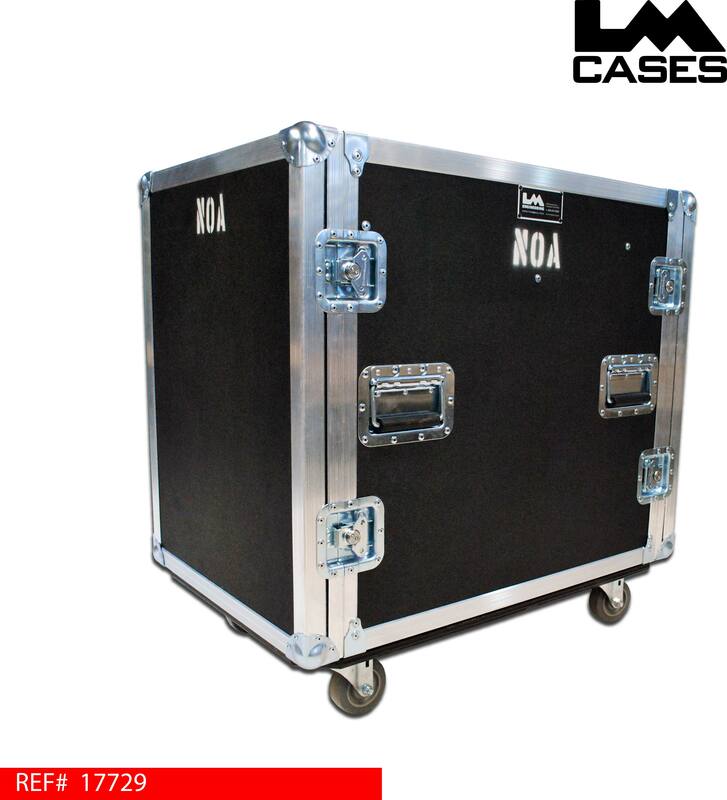 The exterior case is built out of 3/8" plywood and features 3.5" casters and a "NOA" stencil.